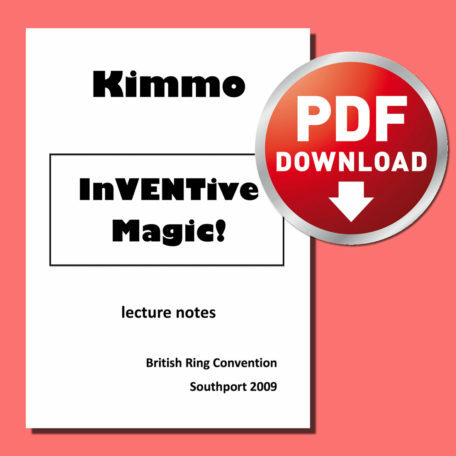 Kimmo’s second set of lecture notes, originally written for the IBM British Ring Convention in Southport, 2009. 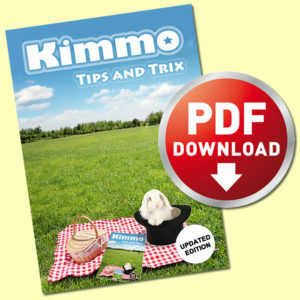 Now available as a PDF download. 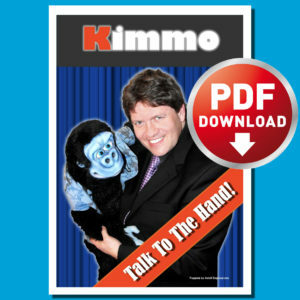 30 Pages packed full of routines, tips and advice for the children’s / family entertainer. Reminiscences of a shaky start in vent and some inspiration to stick at it. Tips on how to set up your PA system quickly and easily. Great advice on how to sharpen your vent skills and enhance your routines. A comedy vent routine for a Kangaroo puppet. A fun balloon animal transformer. Gets big laughs from adults and children alike. More advice, this time about performing for children. An hilarious, gag-filled routine with the classic prop. Three handkerchiefs tie themselves together and then blend into one! Kimmo’s 2016 lecture notes in PDF format, with all artwork and sound files.